Your school has events every month. Create a custom school calendar for your sports teams, drama club and other clubs. 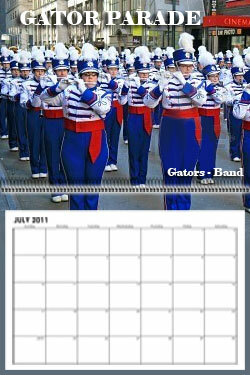 You will also want to create a calendar for your field day event or parade. These special school events can be remembered by designing a school caledar. Include your school photos and create a custom event calendar. Make multiple copies for your school. Your principal, secretaries, counselors, parents, and your classmates will want this event calendar. Let's start designing your school event calendar today.